lnsider lawyer cartoons on drinkware from the regarded LawComix.com collection. Not recommended for use by those outside the legal profession unless accompanied by a licensed attorney or paralegal. 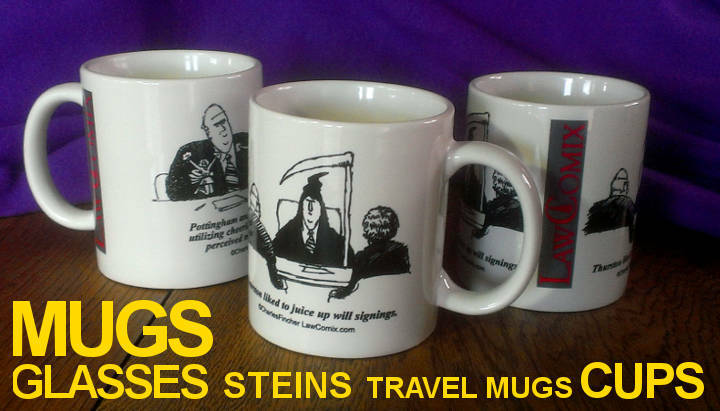 Click on any LawComix cartoon, below, to see it on mugs, steins & more.